Katalinas Communications has brought its Website design and development services in-house. 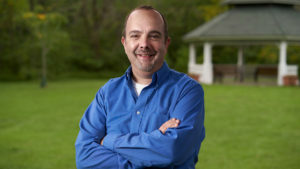 Creative Director Mark Hubman is leading Web development efforts for Katalinas Communications. My Creative Director, Mark Hubman, an innovative graphic designer who dreams up a variety of clever and eye-catching marketing materials for our clients, has spent the last year completing a series of Web development courses in preparation for his new role. He’s now ready to work one-on-one with you to custom build or revamp a Website best-suited to your business or organization’s needs. For Mark, designing graphics – including logos, social media images, fliers, newsletters, brochures and other marketing materials – goes together with building unique Websites chock full of visually compelling videos, photos, graphics, and, of course, your organization’s one-of-a-kind story. His creative flair will make prospective customers take notice and help you stand out from the competition. Websites are often described as your online business card. If that’s true, think of Mark as the creator of your best business face for the world. Up until now, Katalinas Communications had partnered with Web development experts in the greater Philadelphia area to build Websites for our clients in conjunction with founder, Theresa Katalinas’ Web content writing and public relations expertise. This new service addition is ultimately a behind-the-scenes shift aimed at strengthening the core of the company and growing our various marketing services. Instead of coordinating with another vendor, we can serve as a one stop shop for our clients’ Website and digital marketing development needs. Whether you are interested in launching a first-ever Website, building a second one to house your portfolio or other business endeavors, or are looking to give your current Website a facelift, our team is here to guide you. If expanding your online presence is part of your 2019 marketing plan, get a jumpstart today! Email Mark now and schedule your no-obligation consultation. ***Limited time offer: Save $50 off any new Website project when you get started by Dec. 31, 2018.